The world of work is rapidly changing as technology continues to accelerate and industry embraces further degrees of automation. At the same time, AI is beginning to take machine capabilities towards greater-than-human levels of critical decision-making. The drive towards greater efficiency and cost saving seems to be inescapably forcing businesses to adapt and evolve, becoming more automated and AI driven, or risk being unable to compete. Where does this lead? Obvious comparisons have been drawn to the industrial revolution, where many doomsayers predicted that machines would replace humans and millions would be left unemployed. 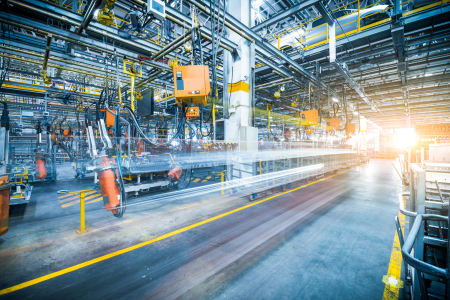 Indeed the changes sweeping manufacturing at the moment are labelled by many as “Industry 4.0”, with the industrial revolution being considered version 1.0 in the metaphor. Despite the fears at the time, by most reasonable measures the general quality of life has continued to improve as people have instead found new spheres of employment opening up as a result of these continued innovations. With this in mind, is it reasonable to assume that the changes which will be born out of this latest iteration of industry be the same as for those that have gone before? There are some reasons to think otherwise. The rate at which technology is advancing and changes are able to sweep through industries is much higher today than it ever has been. As a simple example, automated electric trucks are expected to be available in 2019 with some predicting that cost considerations will drive near-complete replacement of human drivers within as little as 4 years. If that were to happen in the US it would result in over 3 million people becoming unemployed and needing to re-train in order to find new work. This will obviously have a big impact even taken in isolation and is likely to result in widespread unrest. Just look at the political fallout of attempts to transition labour from coal mining towards renewable energy jobs; a much more gradual shift but one met with heavy resistance. The real issue however is that change is expected across a wide number of industries simultaneously as machines begin to outpace humans in terms of efficiency in more and more areas across a wider and wider number of fields. This brings us to the next point of difference. Where changes have happened in the past, the result has been a shift in the human attributes which are valued in the workplace. When industrial earth moving machines were first employed in the construction of the Manchester shipping canal it signalled the end of the Navvy (the manual labourers which had previously specialised in such tasks), as the ability to dig a hole tirelessly all day long was no longer a marketable skill. Machines had exceeded the maximum potential human efficiency for this task. The result was that the nature of work changed. People reskilled and got new jobs harnessing human abilities in spheres where it was still possible for them to compete. With each successive evolution which passes through industry the list of these areas gets shorter. As PWC identifies in their article currently humans are valued primarily for their decision making, scientific (STEM), creative and interpersonal skills (such as emotional intelligence), but AI is already beginning to overturn this advantage! Industry 4.0 sees the gradual replacement of humans as decision makers in processes and we are also seeing similar initiatives emerging in other sectors. The list of human competencies which can compete with machines is getting shorter and as AIs continue to learn this shift is likely to accelerate. If things continue as they are it’s only a matter of time before humans are no longer able to compete with machines in any sphere in terms of efficiency. In the long term then this trend is obviously unsustainable without significant societal change. Even in the short term there are some obvious problems. With manual dexterity and human decision making being superseded, workers will increasingly find that their options of employment are reduced to jobs in STEM related fields or in service industries, but there is a problem. Competing in STEM jobs requires education and many of those displaced from work in factories or who worked as truck drivers will not have the qualifications necessary. This will rapidly increase the competition for jobs in service. This trend has been visible for years with the steady proliferation of coffee houses and restaurants and is seen in China as supermarkets man every aisle in an attempt to avoid swelling unemployment. There is another issue. Service jobs are concentrated in cities where the largest concentrations of people who can afford the services are. The issue with this is that housing costs and rent in these areas is rising and this is making it increasingly difficult for workers to find housing close to work. Commutes become longer until again a critical point is reached and the commute to work becomes so long and expensive that it is no longer supportable. San Francisco is a good example of this as here service jobs in catering are also being replaced by robots. The following video has a good example of this, and while the case is made for continued employment of staff, it’s clear that fewer jobs are needed to support service for more people, thereby accelerating the rate at which we approach a situation where there is not enough demand for jobs in service to provide employment for people without other employable skills. This is likely to also be the fuel behind the gig economy, as people are forced to become more inventive in finding niches in which to operate, but how far can the balance of employment shift towards service before it becomes economically unsustainable? Even for those lucky enough to be talented and educated the rapidly accelerating technological world has seen a steadily decreasing shelf life for expertise. According to Deloitte the half-life of technical skills is now approximately 2 years and 37% of working people they surveyed said they expected to change careers within the next 5 years! The need to constantly retrain and reinvent yourself to remain competitive in an evolving work environment can be daunting. The trends outlined above paint a fairly bleak picture of an unsustainable jobs market but what does it actually mean for the future? The first, most obvious and most positive expectation is increased efficiency. In particular, automation begins to claw back the competitive advantage ceded to developing markets as a result of their lower wage bills. As lower skilled wages become a smaller part of the cost of doing business, transportation costs and IP concerns make domestic manufacturing much more attractive. The skills you will need to recruit for will change rapidly. Some skill sets will likely become highly sought after as training fails to keep up with demand (we already see this in cybersecurity), making rising wages a real problem. Training costs and higher wages for specialists will likely offset gains seen from reduced staff numbers and overall, labour costs may even end up rising! There is also likely to be an increase in more aggressive recruitment methods making poaching of key staff a big threat. With this in mind, employee satisfaction will be a key challenge for future businesses. One way smaller businesses are likely to circumvent this challenge is by outsourcing more functions to MSPs (Managed Service Providers) and even seeking to avoid expensive infrastructure costs by outsourcing this too through IaaS (Infrastructure as a Service) organizations. For businesses of all sizes, planning ahead will become increasingly difficult and increasingly critical. Do you slim down, outsourcing what you can and becoming more agile and focussed, or do you commit to the heavy infrastructure and recruitment expenditure needed to compete with other corporate giants? Which technologies do you invest in? Some early adopters of automated manufacturing technology were driven out of business as innovation rapidly made these early models obsolete. The heightened pace of change today makes this of even graver concern. A misstep could be fatal. Change on a large scale is coming. Conflicting forces shaping the market mean that even PWC doesn’t feel confident predicting how things will change but all the examples of how things might look by 2030 that they give depict a radical shift in the way people are employed, underpinned by major shifts in society as a whole. It’s not all doom and gloom either. Some futurists are predicting that the shift towards automation and falling costs will eventually free people to work more for themselves; doing what they want in pursuit of fulfilment and purpose rather than just as a means of subsiding. Scott Santens argues that the pressures currently shaping the world of work will eventually necessitate the establishment of a Universal Basic Income (UBI) scheme where everyone receives enough money to live comfortably as a matter of course and enterprise driven by crowd funding and creative impulse. It might sound like science fiction but as AI and automation continue to increase efficiency and reduce costs this sort of system may not only become sustainable but actually necessary.